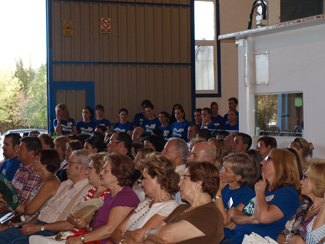 Around 100 people including employees, friends and members of the Foundation participated yesterday in the Open Day organized at the headquarters of Humana Valderrubio (Granada) on the occasion of Humana Day 2012 and the celebration of the XXV Anniversary of the entity. 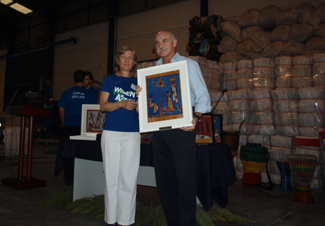 On Thursday, a similar event took place at the headquarters of the Foundation, L'Ametlla del Vallès. Also awards were given to Fuentes de Andalucía (Seville) and CC La Sierra (Cordoba), when public and private partners incorporated Humana's network in 2011 that the best performers last year. Apart from the awards ceremony, there was a sign on Cooperation and Textile Recycling Seminar. 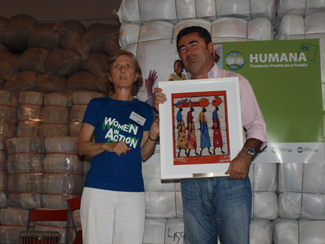 On September 27, at the sorting plant in Leganes Humana hosting a similar event, which will also include the Textile Recycling Awards for public and private entities and Zona Centro Madrid.